Wynne Moore, Executive Vice-President of Allie Beth Allman & Associates, enjoys a well-established reputation as an expert in luxury real estate. Consistently one of the top selling agents, named a D Magazine “Best Residential Real Estate Agent” and a “Top Residential Real Estate Producer” every year since 2012, Wynne holds a proven track record of expertise and excellent client service. Having sold over $250 million dollars in just the last few years, homeowners trust her ability to wisely market their homes and to bring qualified buyers to the table. As a specialist in D/FW real estate, Wynne thoroughly knows the local neighborhoods and schools. Time and time again, she matches buyers with homes ideally suited for their particular lifestyles. 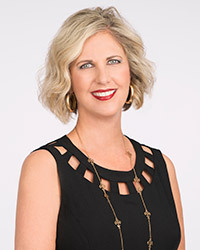 Prior to her career as a broker-agent, Wynne worked eight years for one of the largest custom developers in Northeast Tarrant County. As Director of Sales and Marketing, she learned every phase of real estate development. Her association with numerous quality builders enabled Wynne to gain knowledge about building materials, home structure, architecture, style and amenities. In addition, her former employer invested countless hours in mentoring Wynne in the real estate industry. Wynne’s background uniquely qualifies her to provide clients with a high level of expertise regarding the actual home, its structure and the builder, as well as the most effective way to market the home. This same expertise also equips her to guide buyers to the right homes and to direct clients to sound builders. With an insatiable desire to grow and learn, Wynne participates in a top producing brokers’ networking group that meets monthly. She also joins professionals connected with the real estate industry in other monthly networking groups, which enhances Wynne’s ability to best serve her clients. Wynne’s professionalism combines with her extraordinary people skills to offer the best in client service. Committed to the highest level of client satisfaction, Wynne delivers second to none customer service that brings continual referrals and repeat business. In addition to her career, Wynne Moore takes great delight in her family. As the youngest in a large family, Wynne understands the value of a tight-knit, hard-working family. Wynne and her husband, Perry, reside in Southlake with their four boys. Active in Gateway Church Southlake, Wynne and her family participate in several ministry opportunities and charity organizations. Wynne is also, currently serving on the Southlake Chamber of Commerce Board of Directors. Perry Moore knows how to take care of his clients. After almost a decade of building high-end custom homes with one of Tarrant County’s premier luxury home builders, he knows what it takes to meet high expectations and exacting standards. Having built these unique and architecturally significant homes, Perry has a keen understanding of design and quality. He lead the team that built one of the award-winning 2010 Kaleidoscope of Homes properties. Together with his background in Retail Management and Building Management, Perry possesses a passion for helping people see their dreams come to fruition. And from this background, Perry has a great eye for detail and style. “Perry’s dedication to finding a solution to any objection will be the root to his success in his Real Estate career,” says a homeowner of one of his custom homes. Tonia Beard has lived in the Dallas Fort Worth Metroplex her entire life. She grew up in Dallas and moved west when she married Fort Worth native, Scott Beard. Tonia and Scott have lived in Trophy Club since 1999, where they have raised their two children. Tonia has dedicated many years serving and investing in her community, schools, church and her family. Tonia has always had a passion for residential real estate and is an expert guide to the community and surrounding areas. 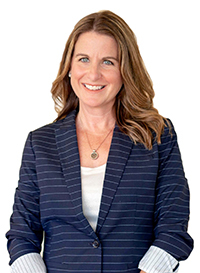 Having worked for one of the largest custom home developers and several custom home builders, she is knowledgeable about construction and neighborhood development. Tonia represents both buyers and sellers and takes a relationship-focused approach to each client, intent on providing the highest personalized service and striving for excellence in all that she does. The continual referrals and repeat business that Tonia receives is a testament to her passion for others. 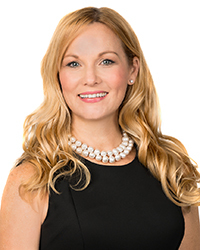 She brings her clients more than just her experience; she brings the network and prestige of Allie Beth Allman. John Martini’s blend of commercial and residential real estate experience is complemented by significant business building expertise. His unique background informs a professional perspective that allows him to help clients navigate real estate transactions and the business implications of those deals. His real estate roots date to the 1980s in Dallas where he worked summers as a surveyor’s assistant for a civil engineering company. He earned a bachelor’s degree in business with a major in real estate from the University of Houston and began his career selling shopping centers, triple-net-sale leasebacks, and 1031 exchanges. Always a student of the trade, John’s formal education was later enhanced with a graduate degree in real estate from the University of Texas at Arlington. 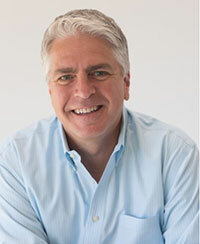 In the early 1990s, John accepted the position of president for a janitorial services company and subsequently grew the business to more than 1,100 employees serving 14 states. By the time he exited the business in 2007, the firm had experienced tenfold topline revenue growth. John then partnered with one of North America’s largest childcare companies and led M&A efforts resulting in acquisitions throughout Canada valued at more than $60 million. Upon the successful conclusion of this project, John turned his business interests to the healthcare industry, forming a partnership that acquired and managed a home health, therapy, and hospice organization. 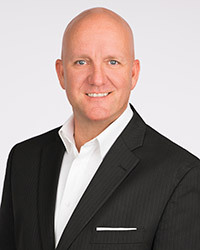 Today, John is actively engaged with a successful real estate team, the Wynne Moore Group. He is well suited for the task given his extensive background in client relations, business development and management. John is a member of the World Presidents’ Organization (WPO) and has served as a board member for both (WPO) and the North Texas Chapter of the Young Presidents’ Organization (YPO). He also serves on the board of directors for Dashfly Technologies, a global mapping software firm. He is a licensed real estate broker in the state of Texas and enjoys boating, motorcycling, bicycling, and traveling the world. 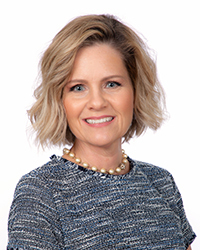 Mandie R. Dealey has been successfully serving Keller, and surrounding areas for over 9 years as a Realtor in Texas. Earning “Top Producer titles” from 2011-2017, Mandie has a wealth of knowledge to offer her clients. Real Estate is much more than a career choice for Mandie. She is able to apply her passion for design and decorating to the sales process, bringing her clients’ vision to fruition. Mandie has an artistic eye for both existing homes and new home construction, which quite often is difficult to envision. She is able to walk her clients through the full potential of a home, from the financial investment, wants and needs of a home, to decorating and design. Understanding her clients’ needs and the functionality of what type of home will meet those needs truly sets her apart. With her vast knowledge of the Dallas/Fort Worth market, Mandie brings enthusiasm and excitement to buying and selling. Simply put, Mandie is a Realtor who loves working with people, has a flair for design, and an eye to find the perfect home for you and your family. Mandie has resided in Keller for the past 12 years with her husband Ryan of 20 years, and their three children. Amy is a native Texan who has lived in the North Texas area for over 20 years. She has facilitated projects on new construction and remolded many homes, to include designing a modern barn home featured in D-Magazine! Her background in the arts and love for analytics creates a unique and balanced approach for clients. She specializes in the ability to see the potential in any property and break down the complex into an attainable goal. From concept to completion, Amy Page is attentive to the needs of her clients. As a former educator, she understands the importance of building trust. She provides an interactive approach with 24/7 accessibility. Clear and timely communication is offered on both sides of every transaction. Amy brings the same standard of excellence to every component through the buying and selling process. Amy understands the importance of creating partnerships and being a good steward of what God has given us. Her family is committed to acts of service, local and overseas missions, and sponsors their friends at Naomi’s Village & Cornerstone Prep Academy. A portion of her commission is donated to NV or a favorable charity of her client’s choosing.